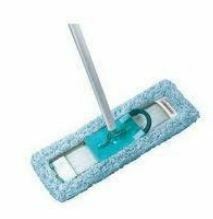 We are engaged in manufacturing super absorbent Round Mop, which is specialized in cleaning any sort of stuff. It has highly effective fibrous bristles which has strong magnetic power , helps in attracting dust particles and cleaning impervious surfaces. It is highly affordable and easy to use. The kind of raw material used to manufacture it gives it a durability. - 350mm, 2-in-1 for high windows. Durable holder with water reservoir. Streak-free rubber replacement. - Washable microfibre sleeve. Fits to Tele Pole. We are the trader and distributor of wide array of Housekeeping Material for Hotel. We have experienced and skillful workers to make your life easy. 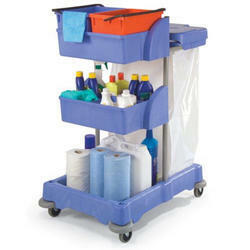 We are wholesale suppliers of housekeeping material.